ZixEncrypt offer policy based email encryption. Enterprise customers such as financial institutions and banks looking for policy based email encryption. SMB customers looking for more cost-effective, basic email encryption. ZixEncrypt is a policy based email encryption service which aims to make securing email communications easy. 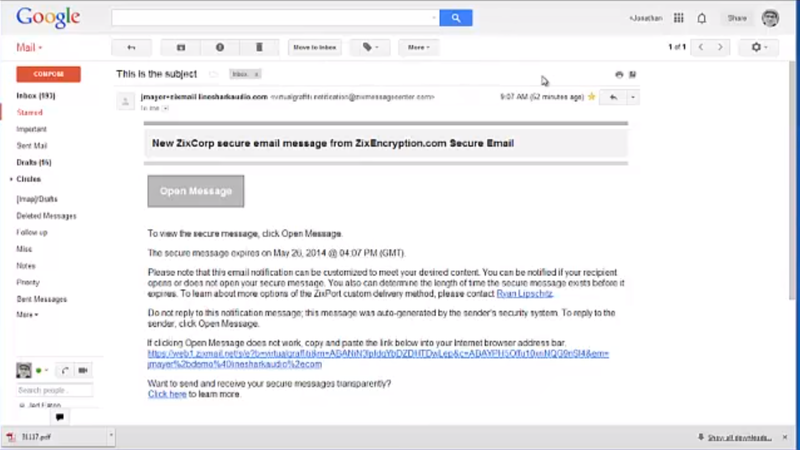 ZixEncrypt scans the content of outbound email and automatically encrypts based on predefined polices, meaning employees don’t have to worry about encryption. 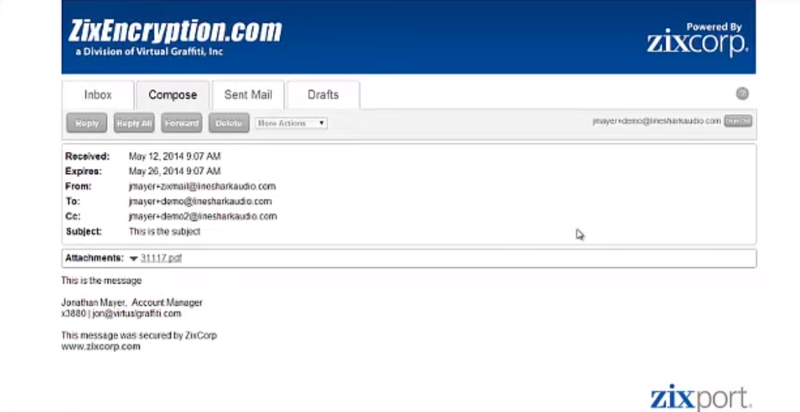 Zix also offers end to end encryption via Outlook. 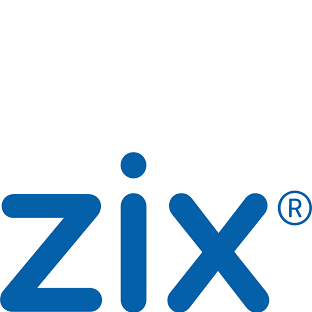 Zix is a market leader in email encryption services. They are used by federal banking regulations, over 2000 financial institutions, and one in every five US hospitals. ZixEncrypt is a comprehensive email encryption tool, which aims for high security while ensuring maximum ease of use for end users. This is reflected in a highly secure service offering a broad range of encryption options, including end to end encryption with S/MIME, secure web portals, and secure PDF encryption. The service automatically decides which of these is the right encryption tool to use per recipient, and it’s easy for the intended recipient to access the encrypted email. End users do not have access to customisable controls such as access revocation as offered by some competitor encryption tools. This is a trade-off, as it does streamline the user experience, but means that they have less security options in their own Outlook. Admins must choose from customisable policies or create their own. These policies define which emails are automatically encrypted, which works well. ZixEncrypt is aimed primarily at large organizations and enterprise businesses. It has a strong focus on security without compromising on ease of use. Customers looking for a customisable platform with multiple encryption methods are recommended to consider this service. With the purchase of AppRiver by Zix, it is expected that Zix will start offering their service via MSPs who already sell AppRiver. Expert Insights would be interested in feedback from existing MSPs on their opinions of the Zix service.